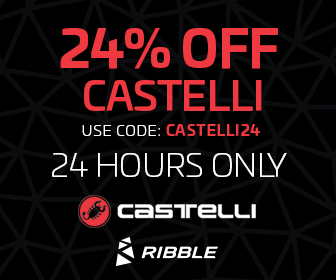 Following a poll we ran on our Facebook page, we're running 24% off Castelli for 24 Hours Only with discount code CASTELLI24. This offer will expire midnight Saturday 27th January. Creatives for this offer can be found under our profile, if you need anything else please let me know. Ready to join the Ribble Cycles affiliate program?